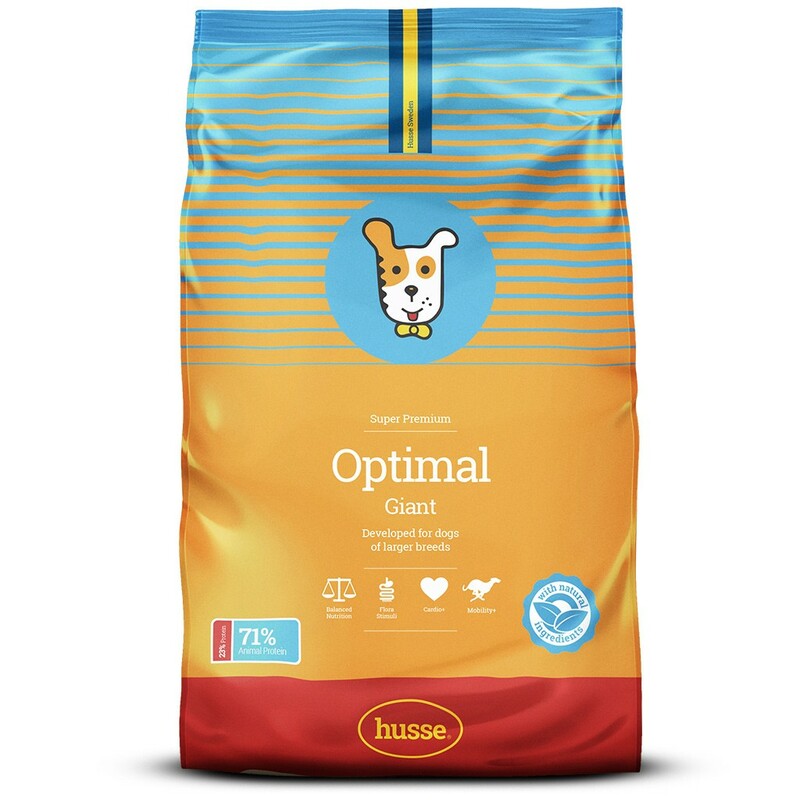 Husse Optimal Giant contains super-premium ingredients with high nutritional value. 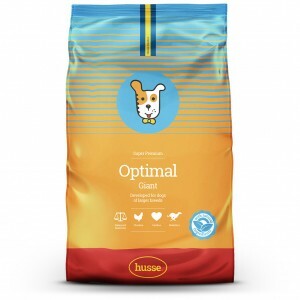 Highly digestible, it is designed to satisfy the nutritional needs of large and giant breed adult dogs. Its large kibble ensures optimal intake for our bigger companions. Chondroitin and glucosamine support healthy cartilage for promoting supple joints. Taurin supports heart function and is important in the nutrition of giant breed dogs. Sea algae are supplemented for healthy teeth. Salmon oil (optimal ratio omega- 3/ omega -6) contributes to a healthy skin and coat and stimulates appetite. Lecithin enhances the fat digestion. Green mussel extract is a source of chondroitin and glucosamine which are components of the cartilage in the joints; these substances support a healthy cartilage for supple joints. 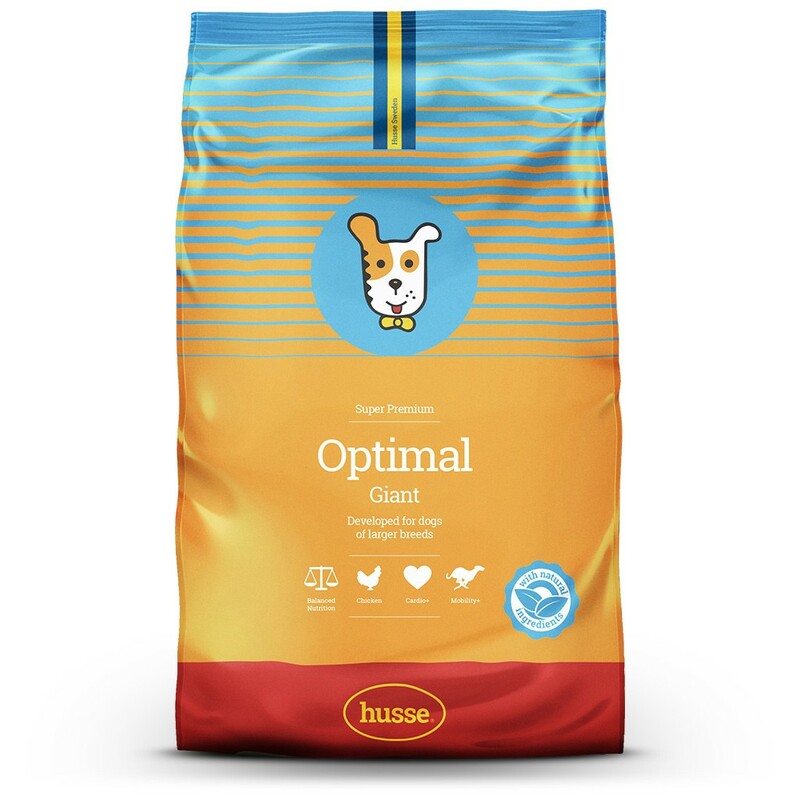 chicken, wheat, rice, animal fat, wheat meal, beet pulp, hydrolyzed chicken protein, linseed, salmon meal, yeast, salmon oil, minerals, salt, dried whole eggs, fructo- oligosaccharides, lecithin, tagetes extract, green lipped mussel extract, sea algae, grape seed extract. Protein 23.0%, fat content 13.0%, crude ash 6.0%, crude fibre 2.5%, calcium 1.1%, phosphorus 0.8%, taurine 1000 mg/kg. Vitamin A 17500 IU/kg, vitamin D3 1600 IU/kg, vitamin C 275 mg/kg, vitamin E 450 mg/kg, E1 (Iron) 201 mg/kg, E2 (Iodine) 3 mg/kg, E4 (copper) 8 mg/kg, E5 (Manganese) 63 mg/kg, E6 (Zinc) 108 mg/kg, E8 (selenium) 0.2 mg/kg, beta carotene 10 mg/kg; Antioxidant: tocopherols.